I’ll admit right up front, I am a huge fan of Srixon golf balls. They have all the technology of the best balls on the market and can frequently be found at lower prices. In fact, the Z-Star made it onto our list of Best Golf Balls. I don’t get paid to play golf, so that’s certainly an important factor for me. But if you are new to the Srixon lineup it can be a little difficult to determine which ball is right for you. Most manufacturers want you to buy them all and try them out or go pay for a golf ball fitting. But if you are trying to decide on the Srixon Z-Star vs. Q-Star golf balls, this comparison guide should help you make a confident decision without much difficulty. Surprisingly, despite the huge price difference, the cheaper model (the Q-Star) has a lot of great characteristics typically only found on more expensive golf balls. It’s not quite as good overall as the Z-Star but keep reading and you may realize your game could benefit from a fairly inexpensive golf ball. Side Note: Srixon, like all ball manufacturers, makes it a little difficult to determine which are the newest version. They do this so they can keep selling older stock at the same price after they release the new ones. There are subtle differences in the packaging that let you tell them apart. I made sure all the links here are for the newest versions as of the time of writing this. The Z-Star is a tour level golf ball. It gives you great distance with the longer clubs. The Z-Star’s soft, single core spins less on tee shots. There is an XV version that has a harder outer core which helps generate more velocity for golfers with fast swing speeds. It utilizes a urethane coating which enhances friction for more spin on shorter shots. Interesting fact I never knew until I did some research for writing this…”STAR” is an acronym for “Spin, Trajectory, Acceleration, and Responsiveness.” I always just thought they chose it because “star” sounded good. One of my favorite aspects of the Srixon balls is the “Tour Yellow” color option. It makes the ball easier to follow your shot and easier to find in the rough. It also makes it easier to tell which ball is yours as you’re approaching your group’s shots. None of these really affect your game, but can make some aspects easier. The Z-Star has the soft feel you would expect from a higher end tour ball. When you hit it on the sweet spot you might wonder if the ball was even there. Beyond just the “good feel,” this means something because you will know when you hit the sweet spot right away. Compare that to harder, less expensive golf balls that don’t feel quite as good even with a sweet spot hit and you’ll see the obvious difference. That kind of feedback will help you refine your swing and even make small adjustments mid-round. Certainly this is a personal preference, but this gives me a ton of confidence that I’ll be able to control the ball the way I want. Speaking of control, this ball has all the spin you’ll need. I had the opportunity to compare this to a Pro V1 on a launch monitor and the spin was a touch lower but right up there with as compared to the Pro V1 with the irons and wedges. Certainly close enough that it probably makes a negligible difference for most golfers. The urethane cover with Srixon’s “SpinSkin” coating (not really sure what that is exactly) gave me a ton of control around the greens. Bottom line, this is a high end ball that will let you generate a ton of spin. However, at times it can be too much spin to control, so use caution and possibly check out the XV version (see “Who Should Use This Ball” below). This is a “tour” ball, designed to be used by very good golfers. Keep in mind that means higher spin rates if you are not striking the ball correctly. If you are flipping or adding loft to the driver on your swing than this ball (like any higher spin ball) will result in high and short drives. However, if you are putting a solid strike on the ball, this thing flies. I ended up with a little more distance after switching to the Z-Star from the ProV1 but that is highly dependent on your individual swing. When I first started using the Z-Star, the way it felt while putting might have been my favorite aspect of this ball. This is a completely subjective measure though, so give it a try. Something about the feel of this ball made it just “clicky” enough to feel like I didn’t have to hit the ball hard to get it to longer putts but soft enough to give me great feel on the greens. There’s not much to complain about with this ball. It is a tour caliber ball that gives you total control over your shots. That can be a double edged sword though as it will also magnify your mistakes as well. If you are struggling with too much side spin then keep on reading because the Q-Star may be for you. This is definitely a ball for lower handicap golfers. If you have been using the ProV1 (or another similar tour level ball) and want to try something a little different then you should give this one a try. It is difficult to say exactly what your results will be but my specific swing characteristics resulted in a little more distance with the driver and a little less spin on iron shots as compared to the ProV1. The Z-Star XV version has a higher compression and spins less. Many golfers choose to go with the XV for increased distance and to minimize side spin off the tee, helping them keep the ball in play. 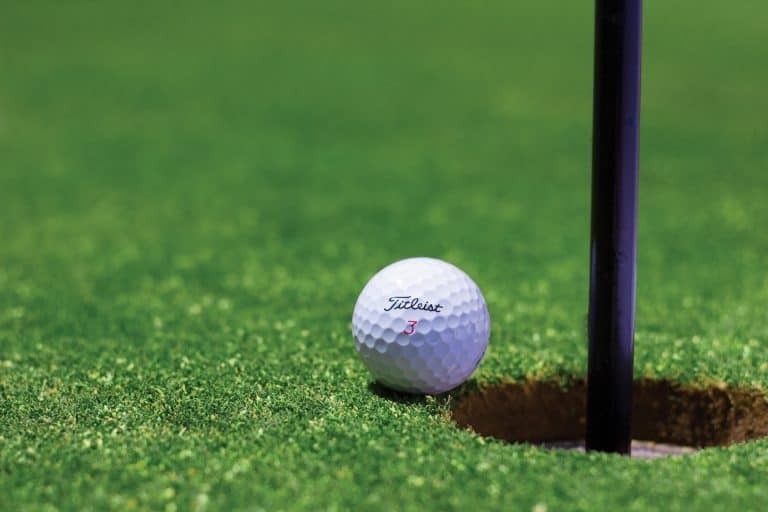 Golfers that tend to generate a lot of swing speed (and thus a lot of backspin) with shorter irons also might want to try the XV to avoid that wedge shot that lends right at the hole and then spins back ten feet or maybe even off the green. Like any ball choice, you have to decide what is your priority and give them both a try on the course. You can find the current price of the Z-Star HERE. The Q-Star Tour is a relatively new ball and I have to say i was impressed. Its soft core is designed to provide golfers with low to average swing speeds a tour quality cover and . The soft urethane cover features a new version of Srixon’s high-friction coating for maximum spin on the shortest shots. This ball bucks the tradition of only putting urethane covers on the more expensive balls like the ProV1 or the Z-Star. Finally, they realized that there are a lot of good golfers out there that are serious about their scores but don’t have driver swing speeds over 100mph. The result is the Q-Star Tour. I also listed this as one of the Best Golf Balls For High Handicappers and as a great ball for Seniors Looking For A Low Compression Golf Ball. Like I mentioned in the beginning, this ball has a lot of similar characteristics to the Z-Star. The feel of the Q-Star is it’s best characteristic. On full shots this ball feels like a high end tour level ball. The soft feel gives you confidence that you can control this ball the same way you can the Z-Star. This is one area where the ball fell somewhat short, though it is hard to criticize it at this low price point. On full swing approach shots it spun nicely and stuck well, even backing up with a solid wedge strike under the right green conditions. However, on greenside shots, it just didn’t didn’t have the same bite as the Z-Star despite the urethane cover. Despite that, It still handled better than any other similarly priced ball I have used. 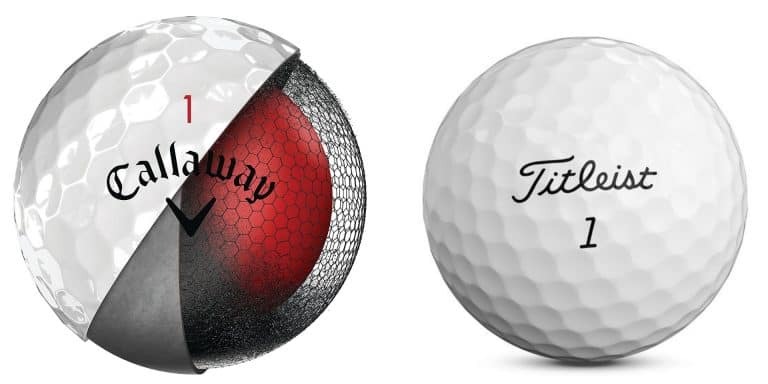 Spend some time reading some golf forums about this ball and you’ll find many accounts of golfers with swing speeds around 90mph with their driver gaining 5-15 yards off the tee after switching to this ball. That is the benefit of getting the right ball for your swing speed. Not quite as good as the Z-Star in my opinion but still feels good putting. The soft compression helps here. This is one area where you need to test it yourself to see how you like the feel. This is a great ball for the right golfer. It sports a combination of performance and low cost that is hard to find. This ball is perfect for good golfers with moderate swing speeds that want to get as close to high end ball performance around the greens. It has the soft feel and spin of a much more expensive ball but with a much softer compression. It is along the same lines as the Callaway SuperSoft or the NXT Tour. You can find the current price of the Q-Star HERE. Like every golf ball choice, this one comes down to your specific needs. First, do you have the swing speed to take advantage of the Z-Star? If not, then you’ll almost certainly get better performance out of a Q-Star Tour. Which is actually great news because the Q-Star Tour is significantly less expensive! So give them both a try and let me know what you think in the comments below. PrevPrevious PostWhat Is An X-out Golf Ball?